Police say the driver of a stolen vehicle crashed while leading police in a chase on the Katy Freeway. HOUSTON (KTRK) -- Four people suspected in a carjacking on Houston's west side were arrested after leading police on a chase. 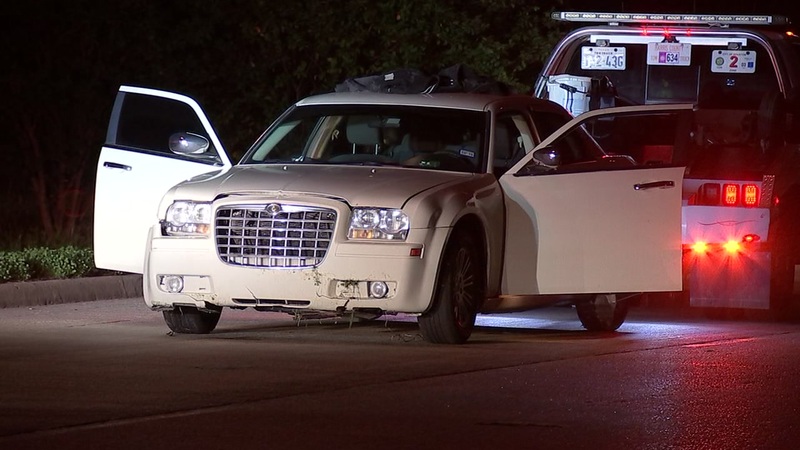 Officers say they spotted the suspects in a stolen Chrysler 300 on Westheimer and chased them onto the Katy Freeway. The chase ended when the driver crashed the vehicle on the Katy Freeway and Wilcrest. All four carjacking suspects jumped from the vehicle and ran. Officers quickly caught all four people. Four people were arrested after a police chase ended on the Katy Freeway. Police say a gun was found outside the car. No one was injured in the pursuit or capture of the suspects. The suspects now face armed robbery, evading and unauthorized use of a motor vehicle charges.